One of the big questions we receive from tourists is, do you have parkings in Pamplona? Is it easy to park in town? Are parkings safe? First of all, I would recomend to park in one of our parkings, and not leave the car parked at the street. If you park in the street, take a picture of the street where you parked, because you will forget where you put it (believe me, this will happen) To top all of that, if you try to remember the name of the street, you will provably get it wrong. You should know that all the streets here have two names, the one in Spanish and the one in Basque. Our parkings are not cheap during San Fermin, plan to pay about 25€-30€ per day. But they are safe (we have private gards in the parkings) If you are coming with a van, you should know that the maximum highth is 6,8 feet. Please take note that our parkings feel up quite fast, so specially if you are coming from out of town to watch the running of the bulls in the morning, you will need extra time to park, and in the worst scenario you might not find an empty spot. 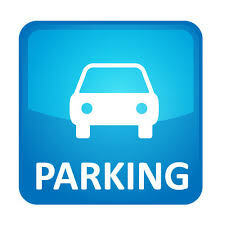 Specially if you are coming on July 7th , 8th or the weekend, you will probably find our parkings fully booked. I strongly recommend you to come with a car with a driver. I know it sounds a bit snobbish, but this way you will be sure to arrive in town with time. There is a couple of great driving companies from Pamplona or surroundings. NAVARVIP is a local company TRANSERVICE is another good one. –PLAZA DEL CASTILLO, this is the best parking in town. It has the best location, right under Plaza del Castillo.When you come out of the parking, you will be in the middle of the party. They have 953 parking places. The only problem is that it fills up fast. On July 6th and teh weekends, don´t even try it, The entrance to this parking is via Ave. San Ignacio. It is a bit tricky, because you will find a sign that says that you are not allowed to drive that way, and the police will tell you to go. Just tell them you want to park, and if there is room, they will let you go through. –PLAZA DE TOROS , This parking ha s also an amazing location, but the access to it during San Fermin is EXTRA difficult. The access to the parking is closed in the morning, because of the running of the bulls. In the afternoons, as the bullfight is there, it will also be closed. And to top all of that, for security reasons they chancge the access to the parking so I have no clue how to park there those days. My recomendation is not to park in this parking. A little further we have other ones, that are smaller and I would use them as your last chance. –AUTOBUSES, this one is under the bus station of the city. 7 minutes away from center. And perfect for the fireworks. Entrance trough Calle Yanguas y Miranda. The access to this parking will be closed from 22:30 until 24:00 because of the fire works. –ADUANA, this parking, is very well located. Right at the entrance to the city center, and by the church where Saint Fermin is. The problem is that it is very small. It fills up the first one in town.